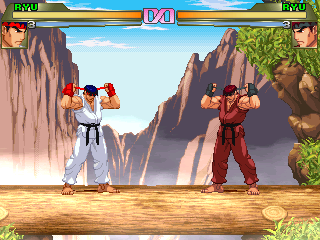 Karate Champ's 4th stage remade with Capcom graphics (SFA2, SFA3, XMvsSF & MvsC). The fog moves and the judge from the game is there despite the fact that this game isn't won on a points system. He doesn't look very happy about that.